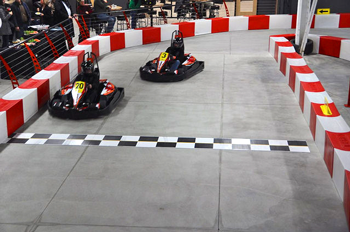 There’s only one word to describe our track…THRILLING! Can’t wait for you zip around it. It’s exhilaratingly fast! The North section is super- technical. 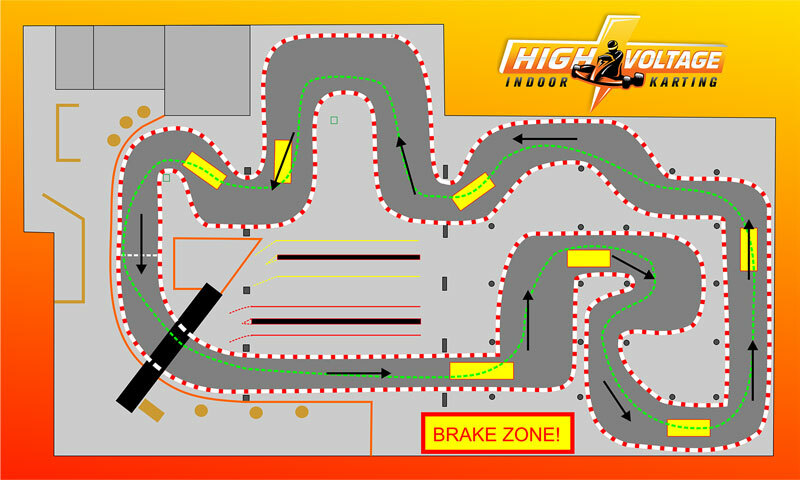 Challenge yourself to navigate the double apex, tight chicane and sweeper turns. Be ready for precision driving with S-turns and tight hairpins. But wait, there’s more. You’ll fly through the South section. It’s built for speed. Picture yourself zooming under the bridge –our finish line. There are high definition monitors positioned throughout the course so you can check your pace and see where you stand against your competitors. Our course is fully customizable. We’ll change the layout several times a year, but we can also change it on a whim. You never know what you’ll find from one visit to the next. The old Industrial noises of this Historic Foundry have been replaced by excitement and cheers of racers and spectators alike.